Dian Fossey's classic account of four gorilla families; the basis for the major movie starring Sigourney Weaver. For thirteen years Dian Fossey lived and worked with Uncle Bert, Flossie, Beethoven, Pantsy and Digit in the remote rain forests of the volcanic Virunga Mountains in Africa, establishing an unprecedented relationship with these shy and affectionate beasts. In her base camp, 10,000 feet above sea-level, she struggled daily with rain, loneliness and the ever-constant threat of poachers who slaughtered her beloved gorillas with horrifying ferocity. 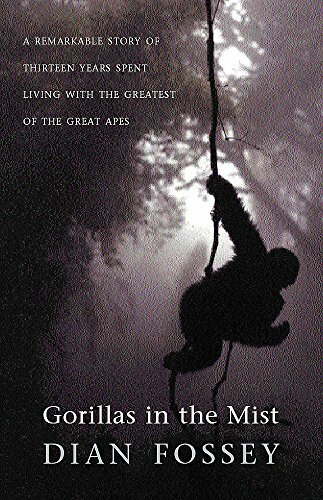 African adventure, personal quest and scientific study, Gorillas in the Mist is a unique and intimate glimpse into a vanishing world and a vanishing species.